Hollywood Studios is one of the smaller parks and we always like to do it first as it’s a great way to gear you up for really long days at the others. 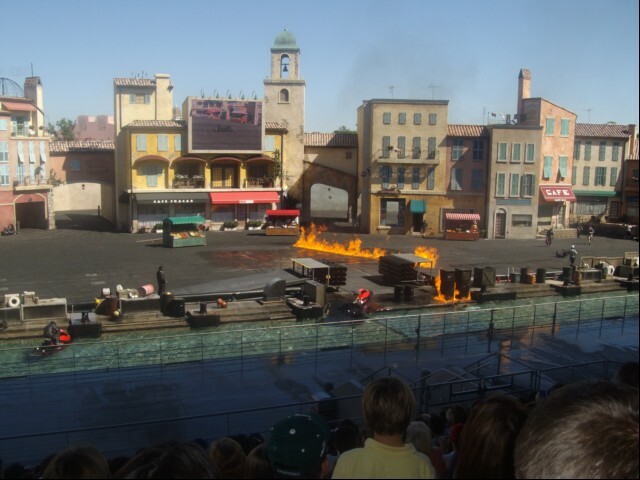 Don't forget the Backlot Tour featuring flash floods, fire and plenty of behind-the-scenes movie magic. There are two ATMs at Disney Hollywood Studios: one just outside the Park entrance and one inside Toy Story Pizza Planet. Don't forget to bring your autograph book to Mickey Avenue at Disney Hollywood Studios where you can find your favourite characters. Many of the attractions and shows stop admitting guests prior to the Park's official closing time. 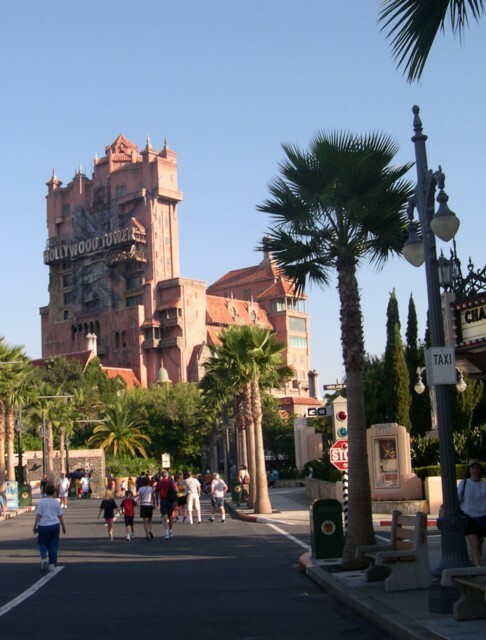 Attractions that you may enter up until the very last minute include Rock 'n' Roller Coaster Starring Aerosmith, The Twilight Zone Tower of Terror, The Great Movie Ride, Jim Henson's MuppetVision 3-D, and Star Tours. Rock 'n' Roller Coaster and Tower of Terror are located right next to each other, so we always grab a fast pass for one, ride the other and then whiz back with our fast passes – and all with minimal walking! On Tower or Terror, Disney have changed the lap bar to individual seat belts, much better for smaller children. They have also introduced a random element to the ride, it helps to keep you guessing! Having tried sitting at the front and the back of the “lift” we find the front better for scary views, but the back allows you to experience the visual special effects more fully. The shops on Hollywood Boulevard are open a half hour past Park closing. Check the Studios "tip board" on the corner of Sunset and Hollywood Boulevards for daily show times and updated wait times. 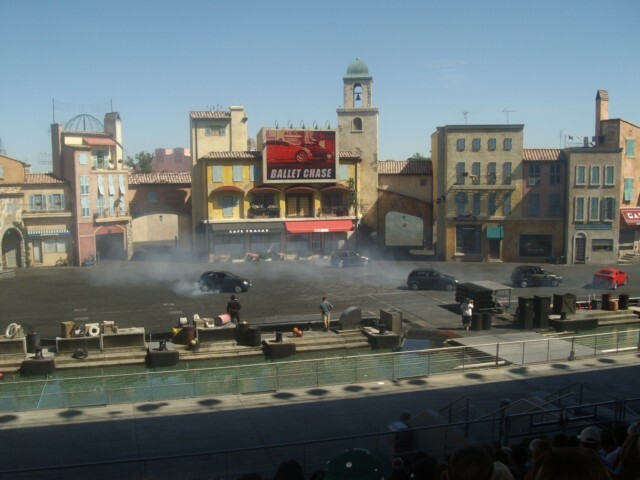 Disney Hollywood Studios, which covers 154 acres, opened on May 1, 1989 with five attractions and one exhibit. To wear the 122-foot-tall Sorcerer Mickey Hat Icon, which represents the magic of show business and the entertainment wizardry of Walt Disney, Mickey would have to be 350 feet tall. Seating from the middle to rear of the theatre offers excellent views without getting too close to the splashes and heat of the show's action. The Hollywood Hills Amphitheatre opens 90 minutes before show time for seating, and food is allowed inside. The Beauty and the Beast Show premiered on November 22, 1991 -- the same day that the animated feature film "Beauty and the Beast" opened in theatres across the U.S. This was the first time that a stage show opened the same day as the movie that inspired it. Viewed 4979 times since 1 September 2008.